WASHINGTON D.C. — A giant defense firm may be passing off another company’s equipment as its own, which could have played a role in a potentially corrupt U.S. arms sale to Kenya that the State Department approved on the Obama administration’s last day in office. 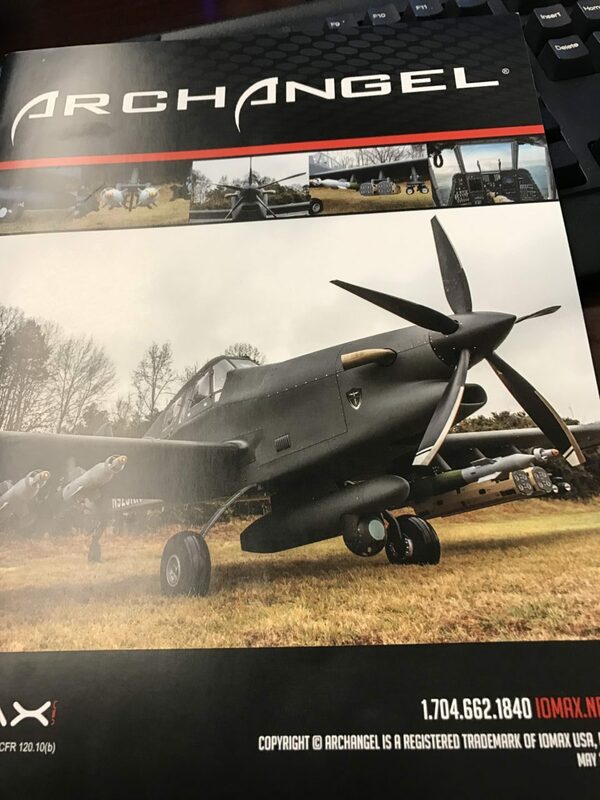 Breitbart News has obtained photos of L-3 Technologies using marketing materials at a recent international defense conference featuring a small plane produced by IOMAX USA, Inc., a small, disabled-veteran owned company based in North Carolina. 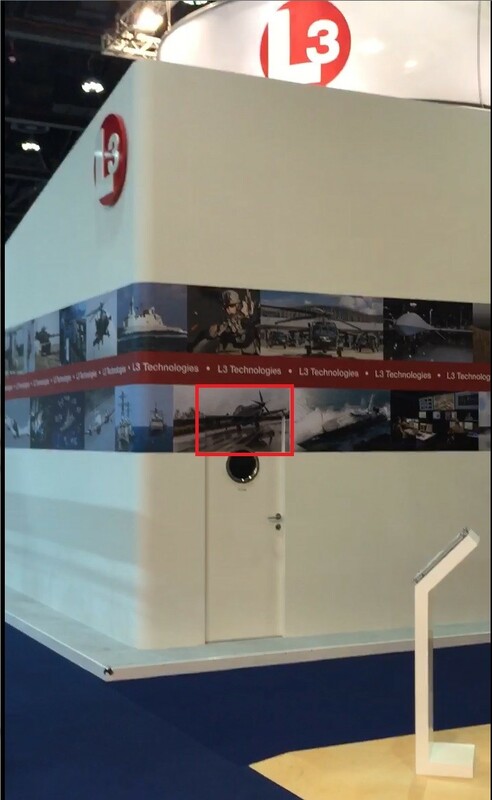 The photos show an L-3 banner and poster at their booth at the 2017 International Defence Exhibition and Conference (IDEX) in February featuring IOMAX’s “Archangel” aircraft — an armed crop-duster-like aircraft used by U.S. partner militaries for border patrol, surveillance, and close air support. L-3 passing off the aircraft as its own could potentially explain how it got exclusive approval for a lucrative $418 million contract to produce 14 such planes for the Kenya Defense Forces, despite never having produced the planes before and IOMAX’s ability to produce them for much cheaper. Breitbart News provided a photo of the banner to L-3 and requested clarification. “L-3 has declined to respond to your inquiry,” a spokeswoman said. How L-3 was able to get the contract has come under congressional investigation. 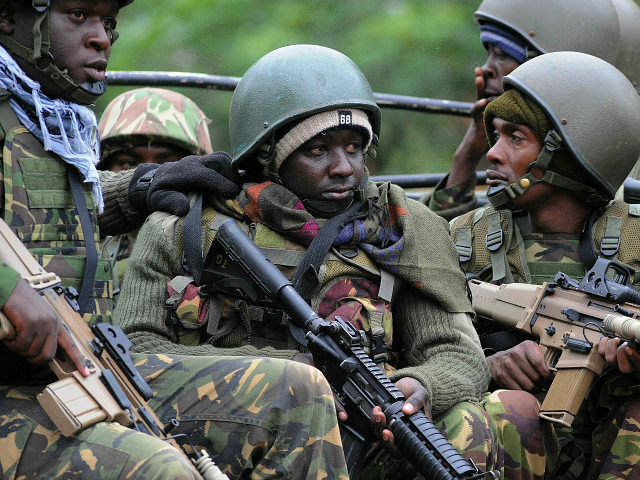 The State Department approved and privately notified Congress on January 19 about the sale, which would fulfill Kenya’s request to buy the planes and other services for missions against terrorist group al-Shabaab. An IOMAX representative said the company was never given the chance to compete for the contract and did not hear about it until after it was publicly announced on January 23. Under the contract, Kenya would spend $364.4 million on the aircraft and $53.6 million on other services. The IOMAX representative said it could produce the planes for $237 million — about $127.4 million less than L-3. A group of five North Carolina GOP lawmakers, led by Rep. Ted Budd (R-NC), sent a letter last week requesting a non-partisan government investigation into the matter. “Our offices have been recently made aware of potential irregularities in the Foreign Military Sales acquisition process. Specifically, the existence of sole-source requests and a possible lack of due diligence by Defense Security Cooperation Agency (DSCA) Security Assistance Officers. It appears that more congressional oversight is warranted,” said the Feb. 23 letter to the Government Accountability Office. 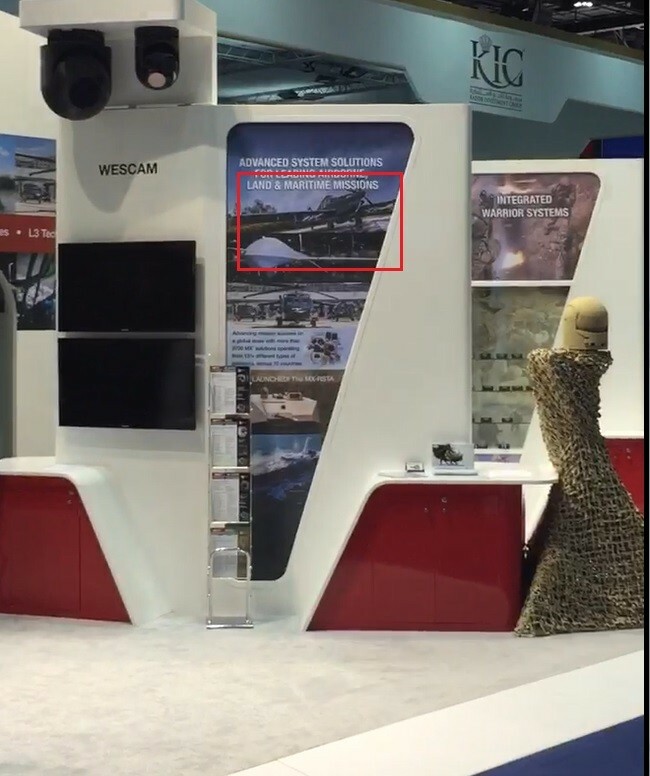 “It is our understanding that this contract may have been awarded to L-3 based on false assumptions made by DSCA that L-3 manufactures a weaponized manned ISR platform that fulfills the requirement submitted by the Government of Kenya to DSCA,” it added. Lawmakers suspect, although they do not have evidence, that Air Force acquisition officials, working with the State Department on the contract, unfairly steered it to L-3. A State Department official, in an email obtained by Breitbart News, said Kenya had specifically requested L-3 produce the aircraft after “extensive market research,” but acknowledged not possessing the research. Similarly, an Air Force official in an email obtained by Breitbart News acknowledged not being provided the research. Adding further doubt to Kenya conducting “extensive” research is that the country originally requested that Moog — an ordnance company — provide the planes despite being incapable of doing so, according to an Air Force response to congressional inquiries. “We believe that the Air Force likely did something that had Moog get replaced with L3,” an aide to Rep. Budd said. The Air Force directed inquiries to the State Department and a recent statement made by the U.S. Ambassador to Kenya, who has defended the sale, which is not final until Kenya officially signs off. “The U.S. military sales process requires notification of the U.S. Congress and allows oversight committees and commercial competitors the opportunity to review the entire package before it is offered to a potential buyer,” said Amb. Robert Godec on Feb. 18. “This potential military sale would be carried out wholly in keeping with appropriate laws and regulations,” he added. Indeed, the chairmen and ranking members of the House Foreign Affairs Committee and Senate Foreign Relations Committee had the informal opportunity to block the sale 30 days after they were notified. But Budd’s aide said the standard practice is that these deals come to Congress under a broad presumption that the process for the sale is proper and the committees evaluate the arms transfer based on larger questions of national security. Those criteria are, in general, whether the sale is controversial, will give away sensitive technology to hostile powers, affect the balance of power in the region, or is going to a country with a hostile approach or has acted against U.S. interests. “Since the deal met all these benchmarks until it became controversial because of Rep. Budd’s objections, the Committees signed off on it. From how these deals are usually looked at in Congress, it was the right call. The devil’s in the details here.” the aide said. Lawmakers also sent a letter to the Kenyan ambassador to the U.S. last week, asking his government to reconsider the sale. While some Kenyan analysts and journalists have also questioned the contract, which they have referred to as the #KDFWeaponsScam on Twitter, the government still appears onboard for now. The Kenyan government is planning to send a high-ranking delegation, including its defense minister and other top government officials, to Washington in order to save the contract with L-3, according to Africaintelligence.com. The delegation is slated to arrive on March 3, in a bid to persuade U.S. lawmakers to not stop the contract with a resolution of disapproval. Budd, whose district is home to roughly 115 employees of IOMAX, many of whom are veterans of the special operations forces, told Breitbart News that he wants the company to have a chance at bidding for contracts. Budd has also introduced a resolution of disapproval in the House, which could halt the sale if passed. If the resolution is adopted, it would be the first time Congress has voted to block a foreign arms deal since 1986.